Child custody-related matters, such as visitation rights, have the potential to create serious emotional distress for those who are interested in ensuring that family needs are met. Angotti & Straface Attorneys at Law L.C. in Morgantown assists clients living throughout Monongalia County by providing comprehensive legal representation for contentious family law matters. With over 66 years of combined experience, we are the region’s trusted law firm for obtaining successful outcomes involving child visitation orders, enforcement, and modifications. We assist parents, grandparents, and other parties with a vested interest in the care and custody of minor children. How is a Child Visitation Schedule Determined? Typically, visitation schedules will be initially developed with input from both parents with the assistance of a mediator, as necessary. If visitation terms cannot be reached, a standard schedule is often decided by the court. 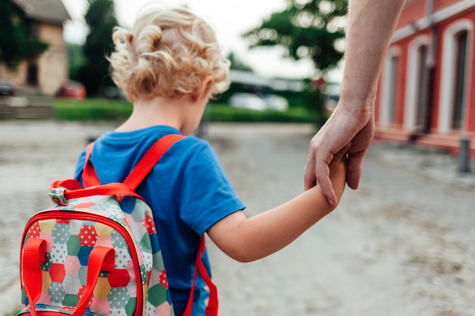 The noncustodial parent’s visitation may include weekends, holiday time, summer vacation time, or other times when the child is available and during times which will not interfere with his or her schooling, extracurricular activities, etc. Many factors are considered, as each case is unique. If a safety concern such as drug or alcohol abuse or an unhealthy environment exists, visitation may be affected. Angotti & Straface Attorneys at Law L.C. have been assisting parents, grandparents, and guardians secure, enforce, and modify visitation orders since 1952. Contact us to request a free initial consultation at: (304) 292-4381. We are dedicated to representing our clients with skill and personalized service in all family law matters.